home forms contact patient reviews f.a.q. 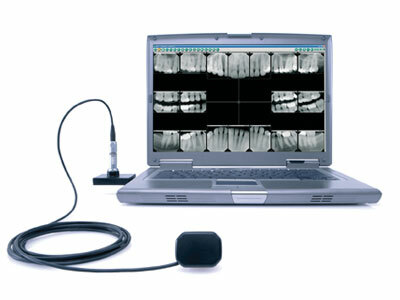 Do you use Digital X-rays? Is the implant placement procedure painful? How much pain will I feel after implant placement? How long does it take for an implant to heal and for me to get my final implant restoration? How do I take care of my new implant once it has healed and has a tooth on it? Dental x-rays are necessary for offering preventative care and are also an invaluable diagnostic tool to provide information that is not clinically apparent. Our dentists uses the information provided by dental x-rays to safely and accurately detect hidden abnormalities and complete an accurate treatment plan. Without the wealth of information provided by dental x-rays, health issues may go undetected and get worse. We understand your fears associated with unnecessary radiation, and that is why in an effort to best serve our patient's health needs we offer digital dental x-rays. Digital x-rays provide far less radiation exposure to patients, are of a much greater diagnostic quality, and are environmentally friendly as they eliminate the need for harmful processing chemicals. Another bonus is that a digital x-ray can be instantly viewed and enlarged to help diagnosis problems faster and easier. In our offices, every precaution is taken to limit a patient's exposure to radiation. We limit radiation exposure by using a lead apron to cover the abdomen, and a thyroid collar to protect the thyroid. Being a digital file, specific problem areas can be enhanced with magnification, brightness, and contrast alterations. This allows for better diagnosis of problem areas. Digital x-rays can be easily printed, copied, or emailed to other dental offices that may need an image of a particular tooth. Better communication can improve diagnosis. Many patients express concern about implant surgery being painful. We are glad to say though that most of our patients are amazed at just how comfortable they were during and after this procedure. Implant placement is done with simple local anesthesia, and has no more discomfort than getting a filling done. 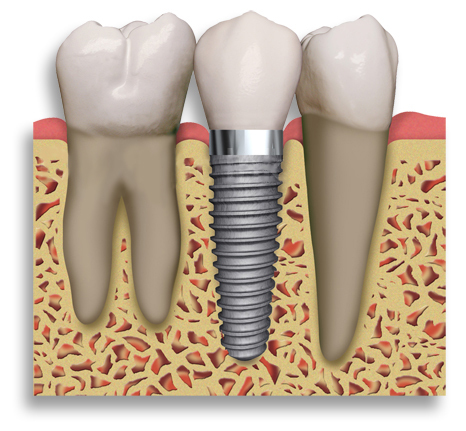 You can expect to have little or no discomfort following implant placement. However, you will be provided with prescriptions in advance to help prevent possible swelling and discomfort. An implant needs to fully heal (a process called osseointegration) before it is considered strong enough to be restored and resist the forces generated when you chew. The time frame needed for osseointegration to occur depends on many factors, including the location of where an implant is placed, and often an estimation of an implant's healing time can be made at the time of placement. A good rule of thumb though is that implants placed in the upper jaw take ~4-6 months to heal, while those in the lower jaw need only ~2-3 months. Once an implant has successfully healed and integrated with your bone, it should last 30 years or more when coupled with good oral health and preventative care. Just like with your natural dentition, the regular home care routine for implants consists of brushing and flossing. 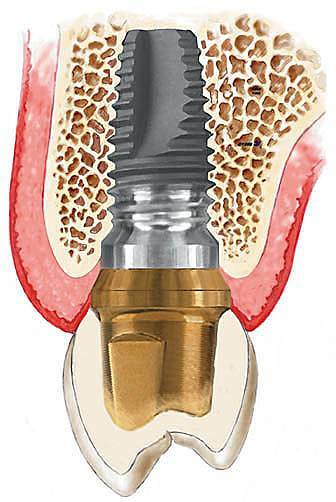 Even though dental implants are not subject to decay, they do require healthy supporting bone to function properly. Maintaining good oral health and regularly scheduled dental exams and cleanings are necessary to prevent gum disease and possible bone loss, thus ensuring the long-term health and success of your teeth and implants. Our doctors use porcelain veneers in many smile makeover cases to achieve the subtlest changes to the most dramatic transformations. Porcelain veneers are the most conservative ceramic restoration to improve upon not only the beauty of your smile but also the health and function of your teeth. In some cases, porcelain veneers are used as “instant orthodontics” to correct crooked and misshaped teeth, so patients can avoid traditional orthodontic treatment which could take many months, even years. Sunrise Mall Dental Center � All rights reserved.